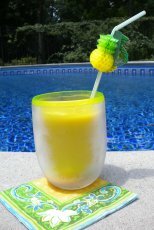 Diving sticks are a fun pool toy to have for almost any age swimmer. They can be a great tool for motivating timid swimmers or just provide a new challenge for those who love to swim to the bottom of the pool. Even our 4 year old granddaughter loves the challenge of finding pool dive toys. 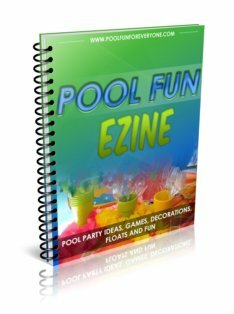 Play diving games with a variety of dive toys. Find a pool dive toy that appeals to the gender and age of the swimmer. There are little mermaid toys to pirate figurines. You can find inexpensive diving sticks and toys at your local Dollar Store or at stores like Target or K-Mart. 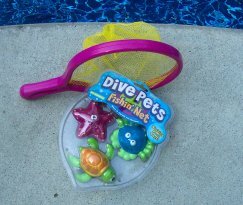 Our 5 year old granddaughter loves using this net to gather several dive toys in one breath. She started out with just one at the beginning of the season, but now she can get all three of them in one breath and is quite proud of herself. Dive rings are a great way to help your new swimmer find the enjoyment of swimming to the bottom of the pool. For new swimmers, start with throwing just one ring in the more shallow end of the pool (of course they can't dive from the side of the pool where it is shallow). Then to make it more challenging, throw two rings so that they are closer together and see if they can get two rings in one breath. Increase the challenge by throwing more of them farther apart or in deeper sections of the pool. 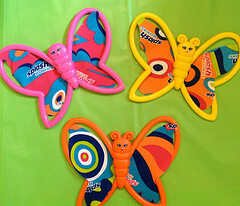 We used these butterfly dive rings for our Bullfrogs and Butterflies pool party. 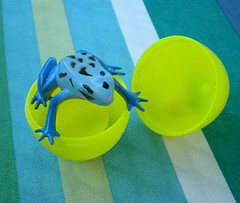 One of our favorite dive toys are a set of these dive eggs . We have put pirate rings, plastic frogs and dimes and nickels in them for some fun games. Putting a little treasure inside the egg provides either added motivation for the hesistant swimmer or a sense of excitement to the more experienced swimmer. Of course the diver gets to take home whatever is in their egg. 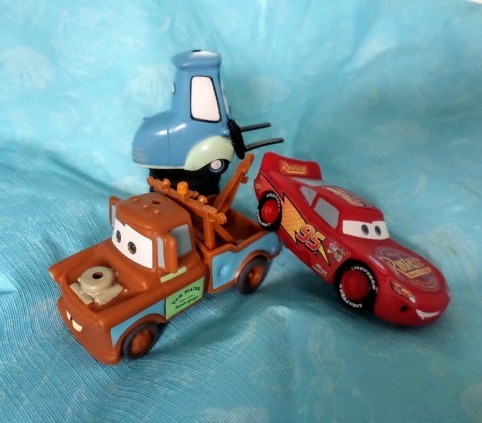 A visit from our great nephews prompted a Disney Cars pool party with these dive toys. They thought they were pretty cool and the dive sticks kept them entertained playing their own made-up dive games. Dive for sunken treasure and put the "booty" in the floating treasure chest. The set includes 4 coins and 2 gems. Throw the treasures into the pool at a depth that is suitable for your swimmers. If the 4 coins aren't enough - use real coins which is even more motivation for going under. 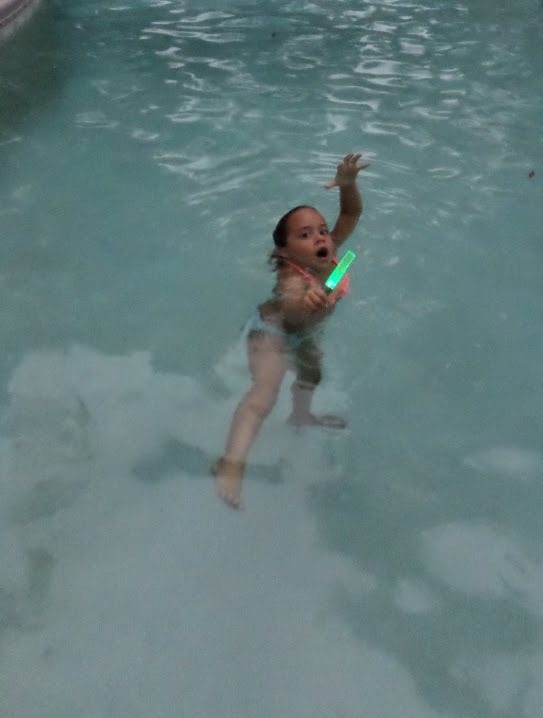 Star Wars light up dive sticks turn any child into a Jedi warrior. The dive sticks are water activated but by pressing a button it will light up anywhere.